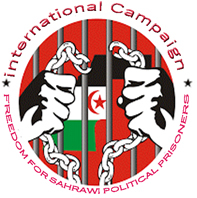 Algiers, April 1, 2018 (SPS) - The United Nations Secretary General's personal Envoy for Western Sahara will visit the region in the coming days to enquire about the serious deterioration of human rights situation in the occupied Sahrawi territories, announced Friday in Algiers Polisario Front's representative to the European Union Mohamed Sidati. In a statement to APS on the sidelines of the 6th International Conference on Peoples' Right to Self-determination: The Case of Sahrawi People, Sidati said that the UN envoy will visit the region before the end of April with a view to enquiring about the deterioration of human rights situation in the occupied territories of Western Sahara, ahead of the presentation of his report on Western Sahara before the UN Security Council, scheduled for late April. He underlined that the two-day conference is being held at a time when the Sahrawi cause has advanced substantially, drawing growing interest from the international community, especially the UN, resulting in Kohler's forthcoming visit to the region. "This is also reflected in UN's commitment to resuming, as soon as possible, direct negotiations between the two parties to the conflict, Polisario Front and the Kingdom of Morocco," said Sidati.